Michelle I love this gorgeous flower and the red is so pretty. The simplyblack sentiment is perfect for such a beautiful card. 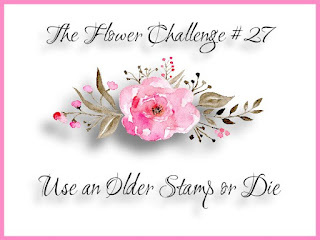 Thanks for playing along with us at The Flower Challenge. Gorgeous card Michelle. That red is so vibrant, lovely shading. These vibrant pops of red are just beautiful! Thanks so much for joining us at Muse!